Crib bedding is the coordinating center to your baby's nursery rhyme themed room. The various pieces that you select help define the theme, the color, the fun and the mood that becomes your new nursery. Crib bedding can be purchased as separates or in various sized sets. The sets can be found in a four piece basic that generally consists of a fitted crib sheet, crib blanket, dust ruffle and bumper pads. Larger sets usually include the same pieces as the basics along with a variety of coordinating pieces. These coordinating pieces can consist of any combination of the following: extra crib sheet, quilt, window valance, diaper stacker, wall hangings, toy bag, pillows and musical mobile. Generally, purchasing sets will save you money as long as the set has the specific pieces that you want for your room. There is such a variety of nursery themes that it makes it easy to find just the right one for your little one's room. If you plan on your nursery room to be a room for several little ones to enjoy over the years, you may want to consider neutral themes. This will allow you to use the same colors, bedding, furniture and accessories for several infants. If you plan on your nursery to grow up with your little one, then a more gender specific theme may suit your needs. Either way you will find lots of selections in baby bedding to fit your theme. You can even find toddler bedding that can be used initially as crib bedding. These toddler bedding sets generally include a fitted sheet that will work for both a crib and toddler mattress. They also include a top flat sheet and pillowcase to use as your little one grows into their toddler bed. If you have a crib that also converts to a toddler bed, this could be a great solution for your bedding needs. Baby bedding fabrics range from basic cotton/polyester blends to organics and silks. The fabrics you choose depends on your preferences and budgets. For durability in the wash and fewer wrinkles, it's hard to beat a nice cotton/polyester blend. However, if you seek a little softer fabric for your special little one, you may be more interested in 100% organics. These generally include various thread counts of cotton or even bamboo. 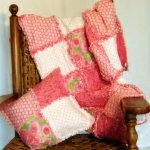 You will want to have several different types of blankets on hand. Blankets and quilts can be made of cottons, blends, velour, fleece, organics and even wool. With the changing seasons, you will want light weight blankets or quilts for the warmer months and heavier fabrics for the colder. Department Stores - These can range from your typical department stores to the bigger children's only focused stores. Specialty Children's Stores- Boutique children's stores have some of the more unique selections. They tend to be a little pricier, but if unique is what you want, you may want to check out a few. Consignment Shops - Some of my favorite items have come from consignment shops. Prices are great, selection a little limited, but you can find some great items. Yard Sales - Baby items are huge at yard sales. You'll need to get there early to find the best selections. It's hard to beat the prices at yard sales. Just be sure to check the items out closely for stains and wear. Online Auctions - Another great source for selection and price. You'll generally find good deals if you are willing to take your chances on an auction. Just be careful that shipping costs don't make this bargain not so good. 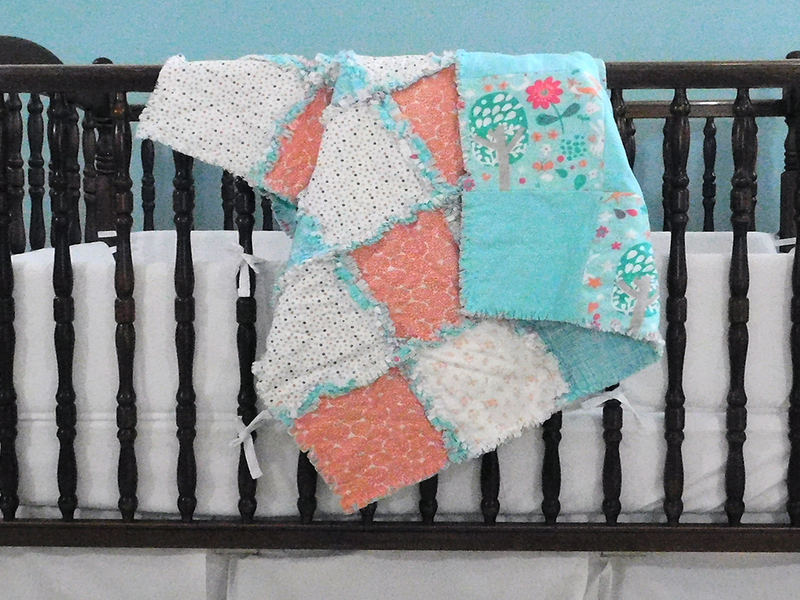 Quilted RhymesBoutique - Our shop with beautiful handmade baby rag quilts! Baby Bedding - Select nursery rhyme theme crib bedding ensembles! 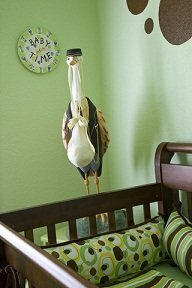 Baby Nursery - Great ideas to start creating that all important room! Ceilings- Ceilings are a great fifth wall! Colors-Rooms don't have to be pastels anymore! Flooring- Solid surfaces to rugs and carpets, lots of options! Furniture- How to plan for the pieces you'll need! Lighting- Great light fixtures will add a lot to your nursery room! Nursery Rhyme Theme Nursery - For ideas on how to incorporate your favorite rhyme into your baby's room! Wall Finishes- Check out all the ways to do walls with just one nursery rhyme!